Since Pasteur Street Brewing Co. started crafting its innovative brews in 2014, it has developed more than 500 different beers. 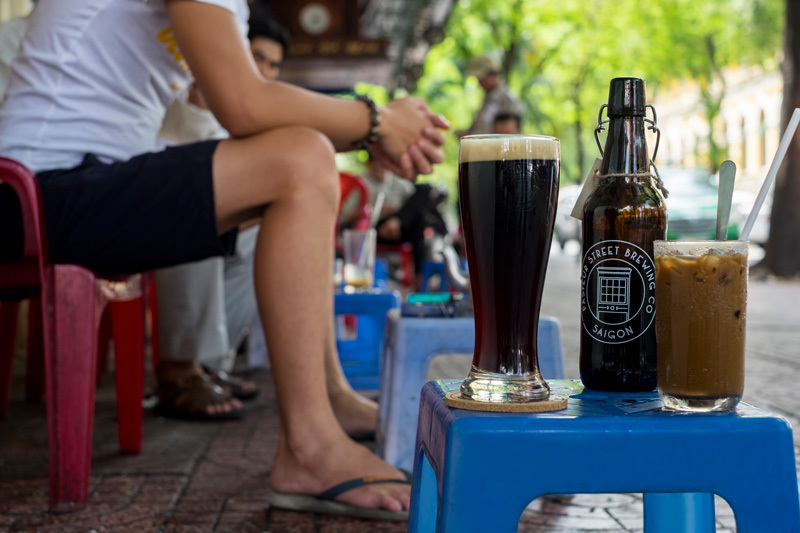 Saigon was the natural place to enter into the fledgling craft beer movement—creativity and new flavours are always on trend with Saigon’s young population. But now the brewer has travelled North to the capital city of Hanoi to expand the footprint of craft brewing in Vietnam with another one of their signature Tap Rooms. Just behind the historical St. Joseph’s cathedral in the Old Quarter, the sign for Pasteur Street Brewing Co. Hanoi beckons passers-by. Lights glimmer from the top of the building’s burnished wood and concrete facade, as the sounds of convivial conversation float down from the Tap Room’s roofbar. Hanoi may be cold during the winter months but Pasteur Street Brewing Co. is the perfect place to warm up with a group of friends and a few pints of their excellent beer. 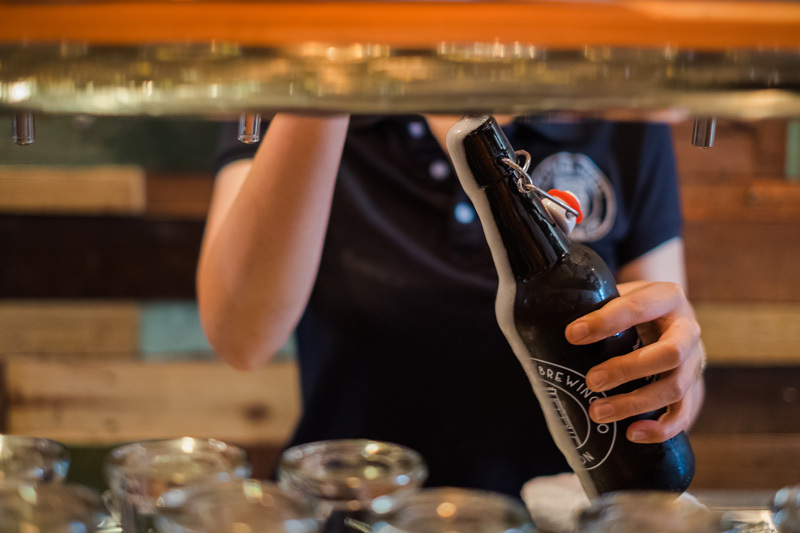 Though Pasteur Street is available in more than 200 restaurants, bars and hotels all over Vietnam, it is only in one of the brewer’s Tap Rooms that customers can experience a full range of flavours. In Hanoi during the winter months the brewer focuses on keeping a few heavier beers on tap such as the El Vietnamo (which won the gold medal at the International Beer Cup in Tokyo 2017 for Chili Beer) and The Foolish Destroyer Barleywine because the climate calls for a deeper flavour profile. However, the brand takes care to always keep a wide selection of lighter beers, and fruity and zesty tastes on hand as well such as in their flagship beers Passion Fruit Wheat Ale, Jasmine IPA and Spice Island Saison. The beers change regularly so you’ll always be in for an adventure in taste when you head into the Tap Room. The friendly staff can help steer you in the right direction based on your preferences and if you’re lucky you’ll happen upon a Meet the Brewer event where you can get information about all your favourite brews from the makers themselves. Check their facebook page for current information. Pasteur Street Brewing Co.’s Hanoi taproom is ideal for group gatherings because of its expansive two-storey space and charming outdoor seating area. Grab a few friends for a pint or head over solo if you’re in the mood for a beer and a lively atmosphere. The brewer has an overwhelming 82 percent of 4 to 5 star ratings on Tripadvisor.com. Reviewers mentioned enjoying the rooftop bar, a refuge from the crowded streets below. The strong selection of beers that are not standard in most Vietnamese bars and the lack of pretension also got several shout-outs. Pasteur Street Brewing Co.’s Hanoi taproom got a strong 7.6 rating on Foody.vn with an excellent 8.2 score for “Quality”. 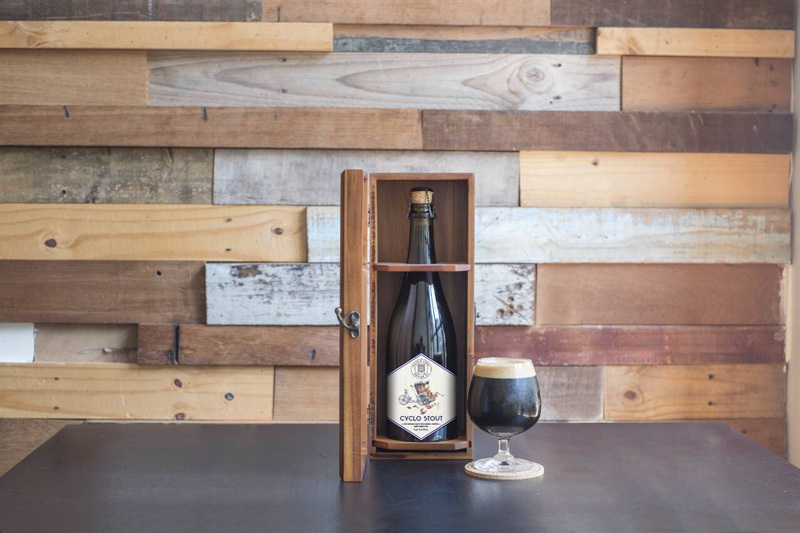 Pasteur Street Brewing Co. has built a loyal following with its marriage of American-style craft brewing with original Vietnamese flavour additions. Come for the beer but stay to learn more about craft brewing from the passionate taproom staff. The Hanoi Tap Room is the perfect place to step away from the intense energy of Hanoi’s historic Old Quarter. Whether the weather is sweltering or bitterly cold, Pasteur Street Brewing Co. Hanoi is a beer lover’s haven. In HCMC, not Hanoi? Try out Pasteur Street Brewing Co.’s other taprooms around the city.